Most people would describe a field trip as an opportunity for a teacher to take a group of kids away from school for a day so they can learn, grow and develop in a different setting. Museums, camps and historical attractions tend to come to mind when we think of the classic field trip—and there’s nothing wrong with the classics—but eventually, kids get tired of going on the same overdone type of field trip every year. As a top rated kids and family destination, Big Thrill Factory’s field trip packages are packed with fun activities kids will love—along with plenty of opportunities to learn and engage in the company of their peers. Let’s explore everything there is to know about field trips at Big Thrill Factory! We’ve been recognized both by the local press and IAAPA, an international trade organization, as a top tier facility and an ideal one for kids and family events. All of the attractions we include in our field trip packages are fun, but they are also educational and developmental, helping kids solve problems and work together in a team setting. 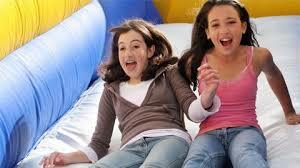 Big Thrill Factory offers two different field trip packages. Each one is full of fun yet purposeful activities your students are sure to enjoy. “The Favorite” field trip package is available Monday through Friday before 3pm, and only costs $9 per student—offering 2 hours of unlimited play! The Kid’s Fun Factory is a hodgepodge of fantastic obstacles, mini-activities and surprises for kids. Watch as the kids in your class explore the space, climbing and jumping around. Every kid needs to blow off some steam. This is the perfect safe way to do it. It can be tough to find great team building activities for kids. Thankfully, we have great ones—and the Time Challenge is a perfect example. The Time Challenge places kids in a black-light control room armed with 3D props and facades. Their job is to push as many light-up buttons as possible before time runs out. This game works for 2-4 players at a time, so you can watch as your students team up and strategize the best ways to win. Kids passionate about S.T.E.M. subjects will love the time challenge, because it opens up the opportunity to learn about basic circuitry and programming. Great opportunity for a follow up science lesson (hint, hint). Who doesn’t love laser tag? Our state of the art facility is a multi-level, interactive world with steam pipes, strobe lights and blasting horns. This is another excellent team building activity for kids, as it will teach them to stick together and have each-other’s back. Kids who love S.T.E.M. subjects will enjoy learning about the science behind the light and sound waves that make laser tag possible. Our laser tag facility fits up to thirty players per session, so the whole class can play at the same time! The Premium field trip package at Big Thrill Factory is also available Monday through Friday before 3:00pm and costs $18 per student—offering 2 hours of unlimited play! Our ropes course is the ultimate character development activity. Watch your students overcome their fears and learn about the value of perseverance as they tackle our exciting course 18 feet above the ground—and in the dark! All kids will be in a safety harness, so the ropes course is safe and fun. It’s time for your students to learn what not to do before they begin Driver’s Ed in a number of years. In all seriousness, they will have a blast on hour wild bumper car adventure. From our experience, kids will never want to stop! Bump ‘N’ Spin cars are only available at our Minnetonka location. Another great safe way to help kids overcome their fears, our drop tower is a freefall experience that will have kids screaming from excitement. The Drop Tower is only available at our Oakdale location. Our 10 individual jumping arenas are safely separated by safety nets to ensure everyone can bounce without interfering or causing collisions. The trampoline in your student’s back yard can’t offer these thrills! Altitude Trampolines are a seasonal attraction. It’s a giant, exhilarating slide—what could be better? Not much, we would argue. Have kids race to see who can get down the fastest! The Giant Slide is also a seasonal attraction at Big Thrill Factory. Part P.E. 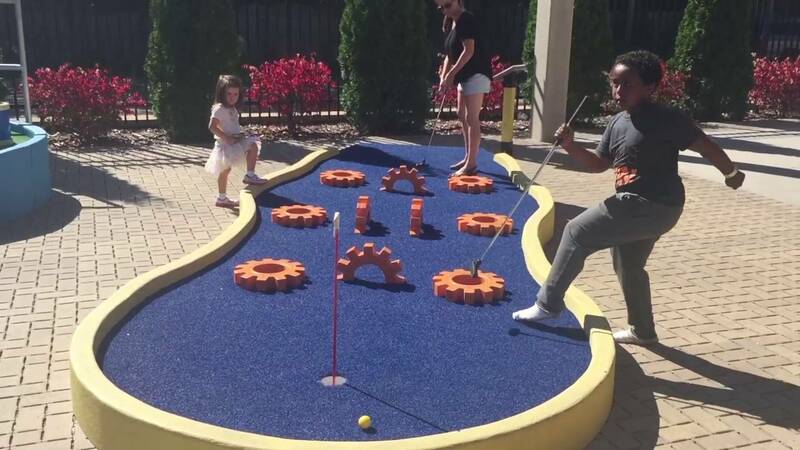 part team building, mini golf is the perfect activity for any field trip. Learning how to putt can be both challenging and frustrating, so why not do it in the most fun environment possible, surrounded by supportive peers. Your class will want to play these 18 holes again and again in an effort to come in under par. Mini Golf is also a seasonal attraction. That’s right! Both packages also allow for a choice of additional a-la-carte attractions and options. You can add outdoor seasonal activities like the Giant Slide, Spider Climb, Altitude Trampolines, Wipeout Trampolines or Mini Golf for $5 per participant. Or, you can add indoor year-round activities like Bump ‘N’ Spin Cars, The Drop Tower or the Ropes course for $5. If you need more time, that’s ok too! Adding on an hour is easy to do! We want this to be the perfect field trip for your class. We understand that it’s not always easy to chaperone or supervise a field trip. Kids tend to not want to sit in one place for very long, and with keeping track of everyone, organizing meals, and keeping everyone interested, it can be quite the job. It all starts with a personal Event Planner who is available to customize the field trip to suit your needs and the interests of the kids in your class. Then we follow through by offering kid-friendly food options, and attractions that are sure to keep kids engaged and safely confined to the right space. If you choose to add an additional educational component to your field trip, we’re happy to accommodate that as well! We have plenty of private event space available with A/V capabilities, including large flat screen TVs. These spaces are perfect for large or small groups. Why not have a short presentation on “The History of Laser Tag” or “Lessons Learned on a Ropes Course”? The options are endless. It will add a great learning component to an already educational event. Whether you’re actively searching for fun field trip ideas or simply doing some preliminary research for your class’ next outing, you’re in good hands. Big Thrill Factory has activities for every kid. From S.T.E.M. enthusiasts to daredevils, everyone will have a blast and will be begging for a trip back! Get in touch with an event planner today to get started on planning the perfect field trip!